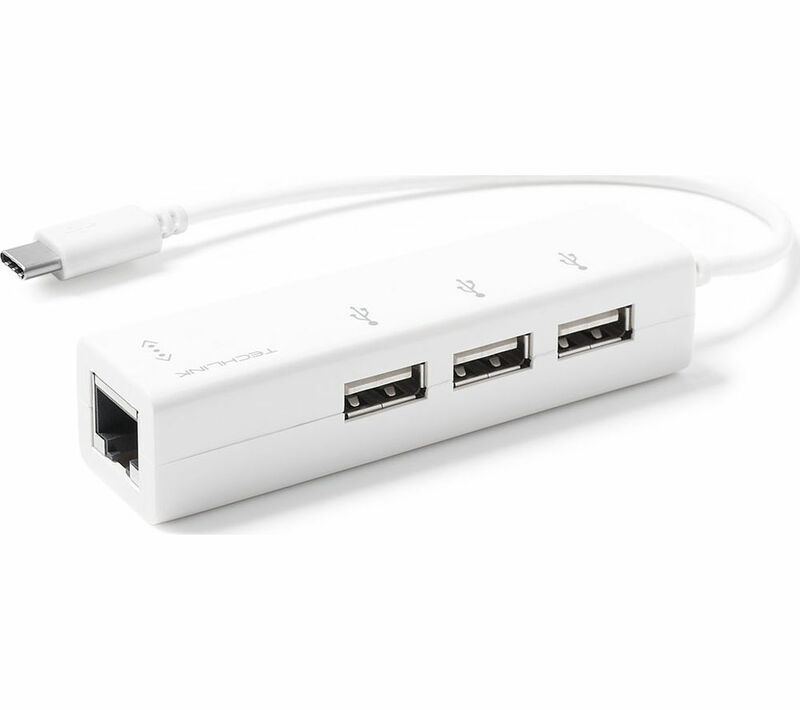 With the Techlink USB Type-C to USB-A 3-Port Hub with Ethernet you've got more connection options in one place. 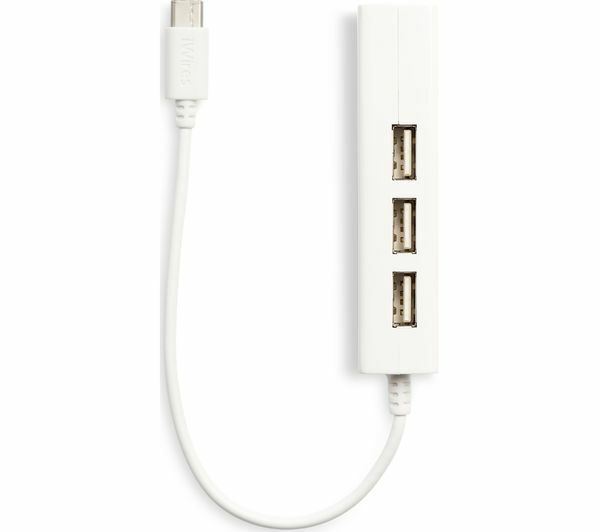 Plug in up to three USB devices and connect the adapter hub to your PC or Mac's USB Type-C port. You can take advantage of faster charging syncing and data transfer, so it's a great accessory for staying productive at home or on the move. 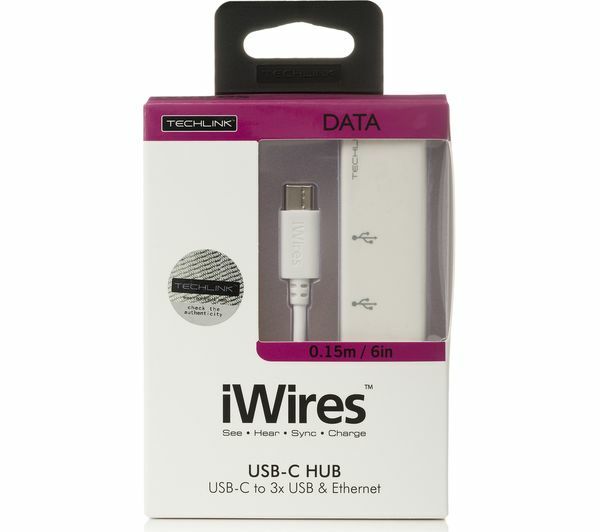 It's compatible with USB 2.0 devices. Given Apple's desire to reduce ports to a minimum this does a good job of providing the much needed USB ports and ethernet port in a simple single plug in adapter.